Make your own Turkey Roll Ups at home, just like the ones at Costco. They are so easy to make, cheaper, AND tastier than the store-bought version! Scroll down for a video and see how easily these are to make! One of my good friends was recently planning a party for her son and I volunteered to help out. After all, I like cooking more than the average person, and who doesn’t want a hand with entertaining? We talked about the menu and she wanted to serve sandwiches, turkey roll ups, fresh fruit, and cupcakes: A simple yet delicious menu that would travel easily to the park where the party was taking place. A few more conversations later, I discovered my friend was partial to the Turkey Roll Ups sold at Costco. Sounded easy enough to make, so I started experimenting. 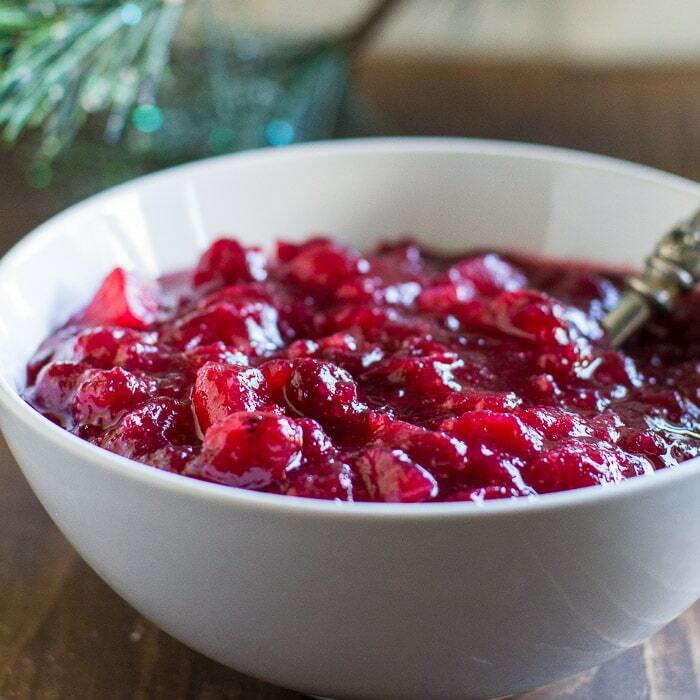 Pairing cranberry sauce with turkey is not novel; we do it every Thanksgiving, after all. Mixing sweet and tart cranberries with creamy, tangy cream cheese yields a flavorful, balanced spread that goes perfectly with its poultry counterpart. After submitting one experimental batch for tasting and feedback, my friend’s only response was, more spread! 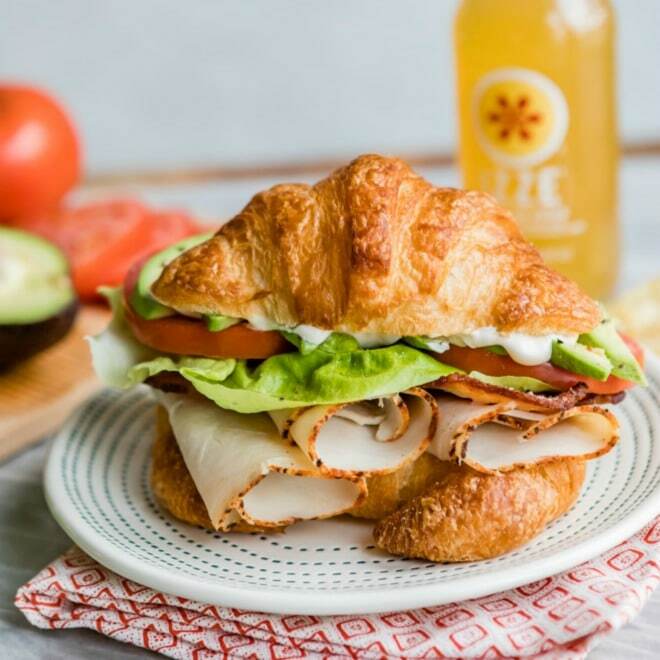 A thick layer of cranberry cream cheese ensures every bite has flavor while holding the rollups together. To double or triple this recipe, assume 8 ounces cream cheese and 1/4 cup cranberry sauce for every 8 large tortillas. 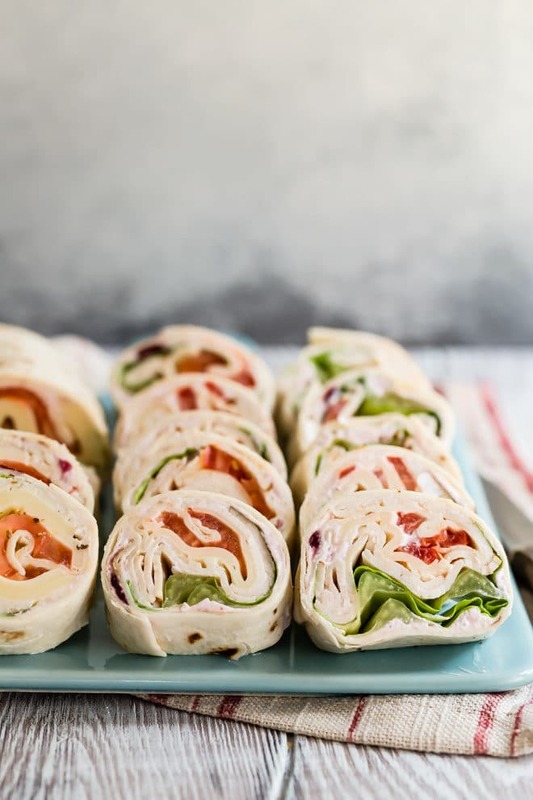 Keep the Turkey Roll Ups wrapped in plastic for travel to your event, then slice and serve as needed. They look so pretty when arranged snugly on a tray. The cranberry cream cheese is also delicious on bagels! 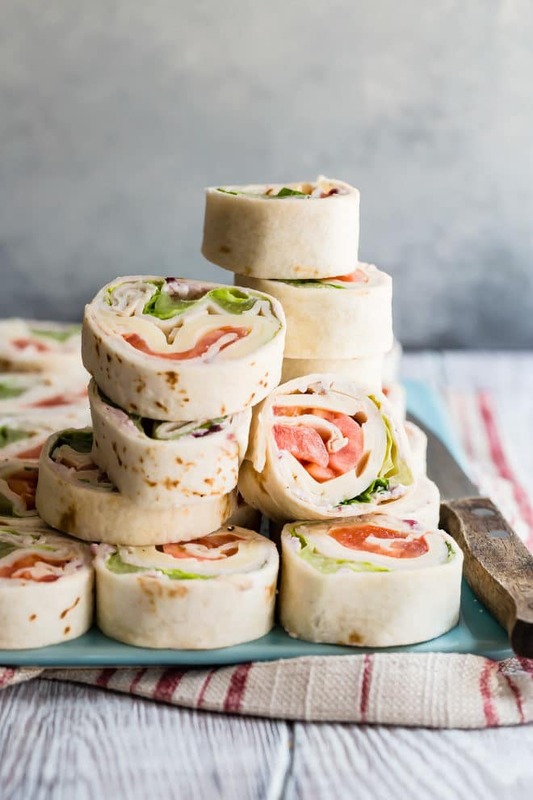 Save this Turkey Roll Ups (Costco Copycat) to your “Appetizers” Pinterest board! Hello Meggan, I just discovered your delightful website, Culinary Hill. I can hardly wait to try your recipes. 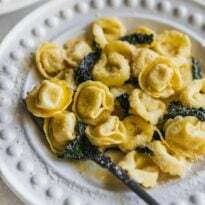 (I print them off) I’m planning on an appetizer party for my daughter’s anniversary at the end of March, so I will be trying out some of your recipes. Thanks! Oh, I love the Costco rollups! I’m so excited to give your version a try, thanks for sharing it! You know, I made these but something missing from the Costco recipe. They are yummy and easy to make! Thanks for the recipe and the video. I was having a hard time figuring out the layering until I watched it. I used whole wheat lavash from Trader Joe’s, which only has 5 ingredients. Also used more cream cheese filling than the recipe calls for. I agree that “something” seems to be missing, but that’s because Costco uses unhealthy flavor enhancers. I use ingredients I can pronounce! I ended up putting some salt on top of the tomatoes before wrapping. 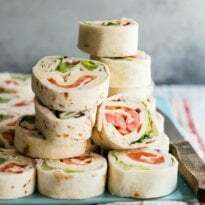 Lots of pictures of the completed sandwich but would be nice to see pictures of the stages since I have no clue how you roll an uncooked tortilla with that much filling and make it look like the finished product. You are so right, Nancy. There was a point when I was ONLY providing pictures of the finished foods, but now I’m (slowly) going back and adding in process shots to all my recipes. Because like you said, what good does it do anyone to see a finished roll up? Sorry about that. I’ll put these turkey roll ups on my priority list. Thank you for letting me know. I am looking to find out how much of the tortillia is covered before rolling up? Do you cover the entire circumference? Hi Christine! I cover almost the entire surface lightly with the cream cheese. The rest of the ingredients I just layer in the middle. I’d say at least an inch of tortilla is exposed (not covered under lettuce, turkey, etc.) but has just the cream cheese. I hope this helps! Thanks for your question. I found this recipe on Pinterest and I got to say I’ll never buying Costco rolls again!! 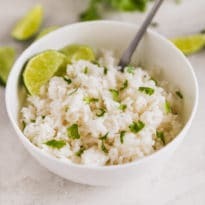 This receipe it’s exactly the same, I did it and it was perfect all my family loved it. Thank You so much for the recipe! That’s so great to hear, that makes my day! I do love these homemade ones too. :) So glad your family loved them. I have a question? Do you use the burrito which is the biggest tortilla to get for this recipe?? Hi Marsha, yes!! The Burrito size which is usually about 10 inches. Or you can use 8 of the 8-inch size, but I like the massively huge ones. I love those Costco roll ups but very rarely buy them because, well, Costco quantities and a two-person household don’t always mix so well. These look perfect – looking forward to making some at home! Can you use something to substitute the cranberry sauce? Could I substitute it with ranch? Hi Alicia, yes! Well, I’d substitute it with dry ranch mix and make a flavored cream cheese spread. Or, if you want to leave out the cream cheese too, then you can use bottled ranch dressing. Sounds like a delicious variation! I’m addicted to ranch. Can you make these the night before and put them in your child’s lunch? I guess I am just wondering if they will still be good and not soggy? Hi Julie, the tortillas soften but in my opinion, it’s a good thing. They don’t get overly soggy to the point where it’s gross. I made them for a birthday party one time and assembled them the night before and it was totally fine. Just wrap them tightly (individually) in plastic wrap and keep them in the fridge, and slice them right before you pack the lunches. Thanks for your question! This is awesome! I bought some of those rolls from Costco the other day, and hoped there was a copycat recipe so I could just make my own. Your recipe looks the best and is the closest to Costco’s out of all that came up from my Google search! Thank you so much for sharing! I just took ranch dressing (Hidden Valley), turkey and yellow American cheese from Shoprite’s deli section, tortilla wrap and lettuce and tomato. I may just be a simple man, but it tasted like and just as good as Costco’s Turkey Roll Ups. I am so upset that I’ve been buying Costco turkey roll ups this entire time when these are seriously 10 times better! I made them for a picnic tonight and my entire family was raving about them! Thank you so much! Awwwww that’s so great to hear! Thank you Hilary. :) Well, you cannot discount the CONVENIENCE of buying them at Costco… so don’t beat yourself up too much. I’m so glad the recipe worked out for you! Makes my day. we actually don’t use tortillas to make them, its a flat bread! I love turkey rollers! I asked the deli person at Costco that was making these, and I was told it was havarti cheese not swiss cheese. WHAT! The packages I read (but this was ages ago) said Swiss cheese. I will remake them though, and ask around here too. Thank you for that. I’ve been meaning to make these again anyway. I appreciate the info! Have a great week. Any suggestions for a substitute for tomatoes? My family, except me, won’t eat tomatoes. Boo on them! Avocado seems like a nice addition. Would be the best possible addition I could think of! I’m so excited to try this recipe. I was wonedering if you have a recipe for the sauce that comes alone with the rolls at costco? I have to go to the store anywuas and figured i grab stuff for the sauce too. Thank you in advance . Hey Amar! I don’t have that sauce recipe yet but I tried it over the weekend (came along with the croissant sandwiches). I am planning to figure it out as soon as I get back from vacation! Sorry I won’t be able to help you in time. It tasted a lot like coleslaw dressing to me. when you make thse with bread do you roll the bread out so its thinner? Hi Judith! I have never made them with regular bread. I always use tortillas, but something like lavash (flatbread) works well too, but it is also flat and doesn’t need to be flattened. You could definitely try regular bread and see what happens. Even just as a regular turkey sandwich with cream cheese and veggies on it, this would be so tasty! Thanks. On the recipes for the Taco Tortilla Roll Ups and the Turkey Roll Ups, what is the cook time. Neither recipe indicates that the roll ups should be put in the oven??? Especially the Taco Tortilla for over 2 hours???? Hi Barbara!! So sorry for the confusion. “Cook Time” just means how long it takes to follow the instructions whether there is cooking or not. “Prep time” is how long it takes to get the ingredients prepped to the point of how they are listed in the recipe (i.e., if peppers are supposed to be sliced and butter is supposed to be melted, how long does it take to do those things?). So Cook Time is misleading. A better label would be: How long does it take to complete the instructions? Sorry for the confusion! Does this help? Thanks! Oh and also! The reason the taco tortilla roll ups are 2 hours is because you have to chill them. So the chilling time is factored in there. If I didn’t factor it in, someone might try to make them 30 minutes before a party, only to discover they need to chill and then be mad. So that’s what’s going on. Sorry again for the confusion! Totally answered my question. I’m trying these as appetizers for Thanksgiving! Can I use a can of cranberry and blend it? Hi Daniela! Yes, that is just fine! No worries at all. Thank you so much for the question! Love these!! I’ve used sliced Provolone and they were great! Thank you so much Melaney! I love provolone. I have a special place in my heart for smoked provolone in particular. :) I’m so glad these roll ups worked for you! Take care and thanks again. Making these for a birthday party tomorrow evening, can I make them tonight and refrigerate them? Hi Ruth, yes. They will have a chance to set up nicely overnight. You’ll be good! Thanks! Making them the night before worked perfectly for me. Turned out great and got a lot of compliments. Thanks for the recipe! I have few questions . 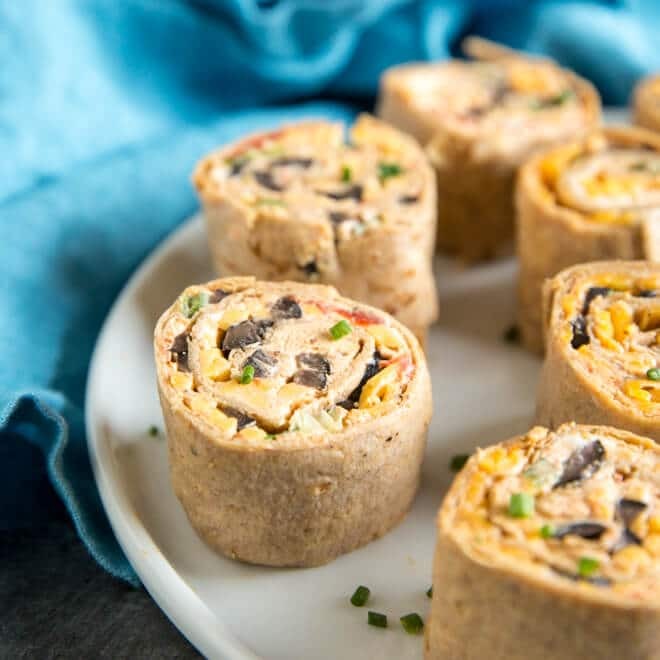 I looked up best turkey and cheese pinwheels your recipe came up as copy cat to Costco. iam making these for retirement luncheon at work. I decided to go with turkey and harvati cheese pinwheels. I don’t like tomatoes so I was thinking using carrots but decided to leave it out. Also was going use whole berry cranberry sauce but I kept it out too. Iam on a strict budget. I only had exyra eight dollars and change to make pinwheels. I got tortillas at Kroger grocery store when it was cinco del Mar for fourty nine cents each ($0.49). I got four of the soft taco packs. I decided keep one pack to make pinwheels. I got honey hillshire farm deli turkey breast for $3.00 it was on sale for two for six dollars I bought one. I also got the harvati Kroger eight slice cheese for one dollar and eighty-six eight cents ($1.88). Total was five dollars and eight cents($ 5.08) . I saved sixty cents on meat and cheese by going kroger when it was on sale.i got lettecue for dolkar ($1.00 )at Walmart and Philadelphia cream cheese for one dollar and ninety-six ($1.96).Less than nine dollars I will get some great pinwheels. Thanks for the recipe. I have few questions. I am thinking making in morning Put on tray event is not until 3pm . will be okay with plastic wrap or should I use alumin. Will lettcue still be okay I don’t want it to willow. Will cream cheese still be fine. I will have cut and ready to serve when I go to work. . also should I use toothpicks or will create cheese hold it together. Hi Veronica! You are quite the bargain shopper! 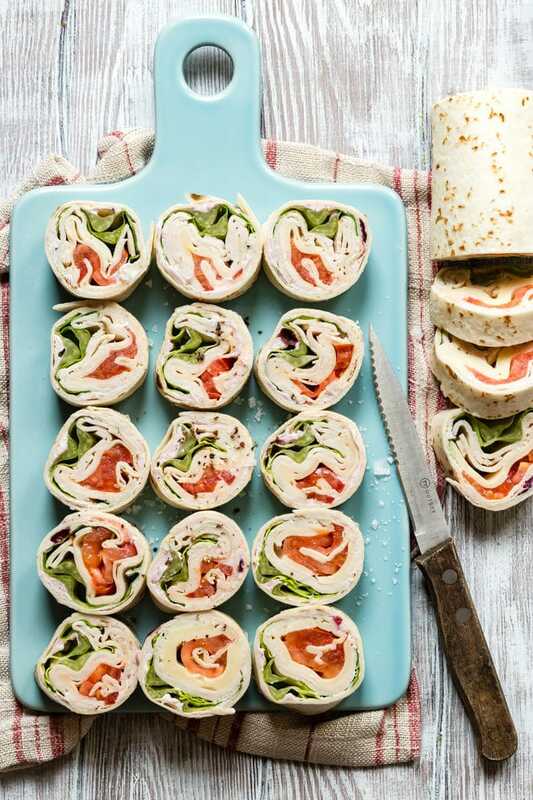 The wraps will be just fine if you make them in the morning and eat them at 3pm. I would stick with plastic wrap, I know it works and I’ve never tried aluminum. The lettuce should be fine, the cream cheese is not “wet” per se so as long as you dry the lettuce really well, it will stay nice and crisp in the wraps (just keep everything refrigerated once assembled, of course). You don’t need to use toothpicks, the cream cheese will hold it all together! If you need anything else just let me know, I hope you love them and good luck. Thanks again. Meghan thank you for the recipe. It was declious. I made them in morning . The retirement celebration was around 3pm. There were great. It was declious. I was worried about the lettecue withering and creame cheese melting. But I put on 2 cute clear tray I got from dollar store. The turkey pinwheels were great. I put in refrigerator at work I put plastic wrap covering. It was find. I can add this to my grown up work parties sandwiches. The recipe was simple and easy make. I have made these before and your recipe is delicious! I have added orange marmalade in just a small amount, maybe a tablespoon, to the cream cheese and cranberries and that seems to be what was missing. This suggestion was great! Everyone noticed the diff and loved it. Has anyone made these using jellied cranberry sauce? It’s all I have in the house .? Just wondering if anyone had done that. so good! I was worried about an overpowering cranberry flavor, but these are delicious. much better than wraps i have made with mayo in the past. You would sub the cranberry cream cheese WITH mayo, not FOR it. Looking forward to making these for my (pregnant) wife. She says these Costco roll ups are the only thing that sounds good….but multiple trips to Costco can get tiring. My question is about the tortilla. Maybe I misread the comments, but can you confirm if the Costco ones are made from flatbread or from “regular” flour tortillas?